If you love mobile photography and have been looking for a way to negate your iPhone 5's slim and lightweight form factor, Turtleback's new TurtleJacket PentaEye case has got an entire photography kit on board. Five different lenses in total, mounted to a rotating wheel so you can dial in whichever glass you need for a given shot. The concept has been done before, most notably by Holga. But its iPhone case just included simple colour filters and plastic lenses that distorted your photos. 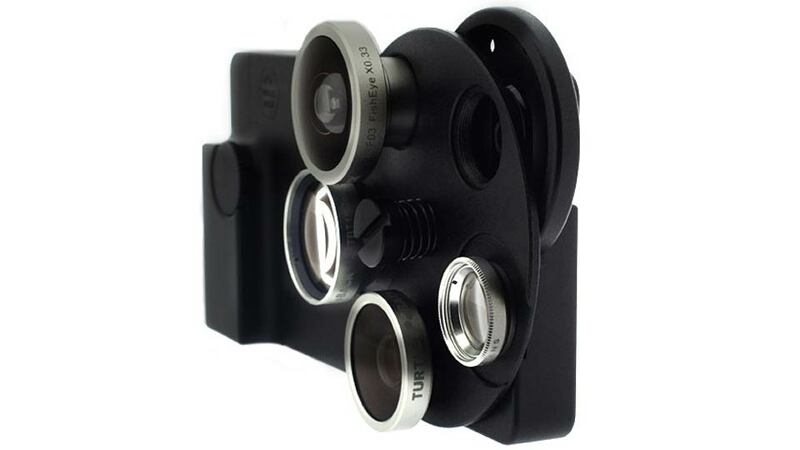 Turtleback's case comes with a fisheye lens, a wide-angle lens, a zoom lens, and a simple pass-through filter for when the iPhone's standard lens will suffice. It seems considerably more useful, though at the cost of considerable bulk. But, hey, at least it offers some level of protection. Too bad it's priced at a laughable $US270.